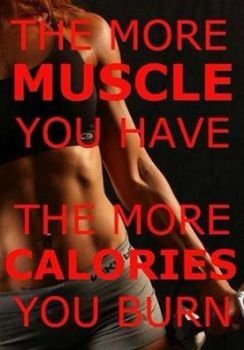 Two good reasons to lift weights and develop muscle. 2. Muscle takes up less space than fat. The second picture shows the comparison of 5 lbs. of muscle and 5 lbs. of fat. Which would you rather have on your body!